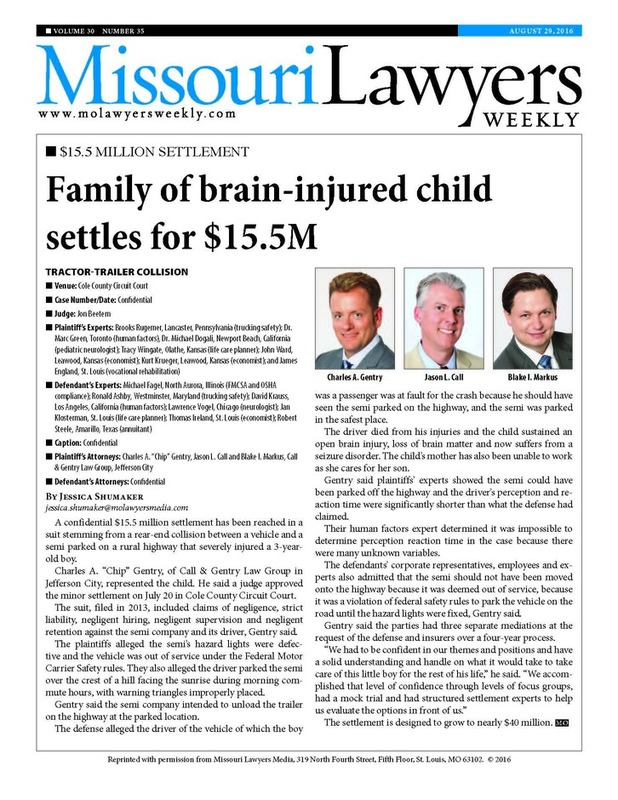 Introduced during this 2018 session in the Missouri Legislature are two bills that would change the way court’s decide what parenting plan to adopt in contested custody disputes. Under the current state of the law, the court need only adopt the custodial arrangement that is in the best interest of the minor child and, in doing so, the court must take into consideration all relevant factors including eight specifically enumerated factors set out in the statute (RSMo 452.375). This wide discretion in choosing which parenting plan to either adopt or create and has led to a wide array of parenting plans throughout the state and sometimes even within judicial districts. Some judges tend to adhere to the “traditional” thought process that grew out of the idea that families usually had one primary caregiver, usually the mom, and that it would be best for the children to reside primarily with that parent after the parties divorced. As a result, the “every other weekend” parenting plan was born. Senate Bill 645 and House Bill 1667 have both been introduced in the 2018 legislative session in Missouri and both seek to change the language of section 452.375. The proposed change would create a rebuttable presumption that equal time with both parents is in the child’s best interest. In essence, this would make equal parenting time the “starting point” for the judge. The judge could then deviate from equal parenting time only if information is presented by a party that persuades the judge that it is more likely than not that equal parenting time is not best in that particular case. It is apparent that judges are now having to create parenting plans that are suited for a plethora of unique family compilations. In many cases, parents have started to take on a somewhat more equal role in providing care for their children. A custody arrangement that has the kids go back and forth between two households on an equal basis is arguably disruptive for children. Opposition to SB 645 and HB 1667 can find support in a litany of research that suggests children benefit from structure and routine that becomes difficult, if not impossible, to maintain in two distinct households (particularly if the communication between the parents is strained). Given the support for both proposed bills, it seems likely that a movement toward a presumption of equal custodial time for parents is forthcoming. A change in the law will likely lead to a flood of steps to modify existing parenting plans to give the “every other weekend” parent equal parenting time based on this presumption. Parenting plans are always modifiable; however, the standard to obtain a modification requires a change in the circumstances of the child or his custodian. Claiming a change in the law is tantamount to a change in the life of the child or his custodian is a thin argument. While it remains to be seen whether courts will permit a modification based solely on the change in the law, it is advisable that Movants couple their motion to modify the custodial arrangement with facts surrounding the child and not rest upon this change in the law alone.